I was cleaning up a bit of old stuff off my blog and I ran across these pictures that I made a post about, but never published it. It was one that was from Christmas 2014. 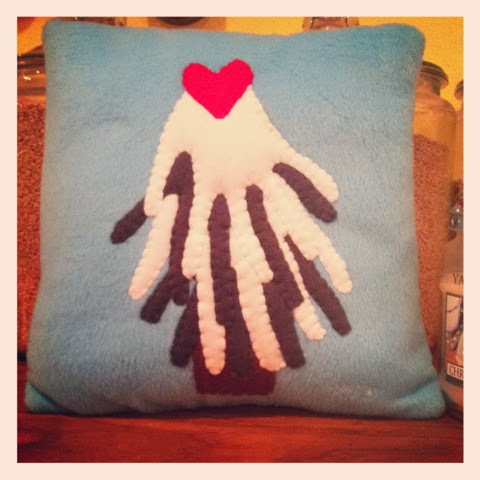 My friend, Ann who is insanely talented and one of my very first homeschooling mom friends made the pillow below. Albeit my kids are not that small anymore, I thought it was a sweet idea and I love how it turned out. I wanted the 'tree of hands' against a blue background, and obviously, the more children... the taller the tree! Ann's pillow turned into more of a rectangle, where mine is a bit more squared. 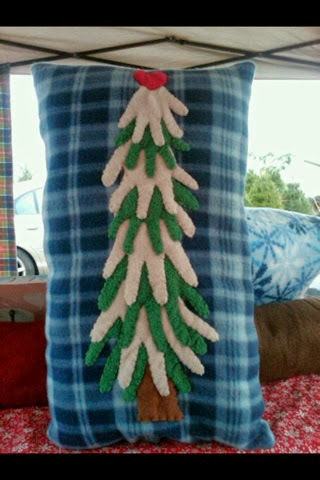 It's so soft and all my texture loving kids loved running their hands across the stitches. Thank you for the wonderful idea, Ann!